Feb 20, 2009 - In a plan announced Wednesday by the Obama White House, $275 billion will be set aside to slow foreclosures, and as many as 9 million households will be rescued from dire straits. The plan will allow up to 5 million homeowners to refinance via government-sponsored mortgage groups Fannie Mae and Freddie Mac, and will bolster these two firms in the process by buying more of their shares. Homeowners that have Fannie Mae or Freddie Mac loans, who are having a difficult time refinancing, and who owe more than 80% of the value of their homes (even those with negative equity) are eligible. The Treasury Department will increase their funding commitment to $200 billion for Fannie Mae and Freddie Mac to support this program, boosting the amount of preferred stock and mortgage securities they'll purchase. An additional 3-4 million homeowners will be able to modify their mortgages to lower monthly interest rates through participating lenders. These lenders will receive subsidies from a $75 billion government fund set aside for this portion of the plan. In addition, banks and brokers are encouraged to participate to receive federal bailout funds; only those banks adhering to government guidelines on loan modifications will receive funds. Under this plan, lenders will be responsible for reducing interest rates so that a monthly payment is not more than 38% of pretax income, and keep the interest rate reduction for five years. The government will match the amount reduced by the lender, bringing the homeowners' payments down to 31% of pretax income. As an alternative, lenders can also reduce the loan principal. As part of this plan, lenders will receive $1,000 for each successful modification, and additional government funding for each month the borrower stays current on the loan. 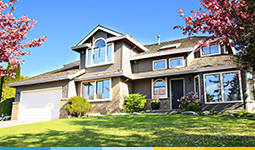 Homeowners can also receive $1,000 a year for five years, as long as they stay current on their loan payments. The program takes effect March 4. 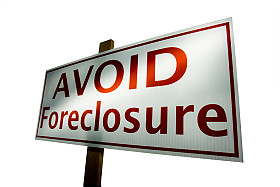 The plan aims to prevent the devastating effects of foreclosures on communities nationwide. U.S. foreclosures reached 274,399 in January, according to RealtyTrac Inc. Last year, more than 2.3 million homeowners faced foreclosure proceedings, an 81 percent increase from 2007. Some analysts say that number may soar to as many as 10 million in coming years. Foreclosures can be debilitating for the affected homeowners, but also have dangerous side effects for the rest of the neighborhood. Home values decrease if surrounded by homes in foreclosure, placing additional stress on homeowners, and increasing the likelihood of more foreclosures.